Stoke are a decent home side and despite not so good results lately (only 2 wins at home of last 10 games), they’ve been playing good and I expect better results. Against Spurs (1-2) were unlucky, as well as against West Ham (1-1). 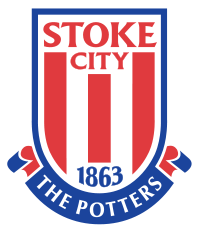 They’re creating plenty of chances (Stoke have hit the woodwork 8 times, more than any other team), but lacking in goals. Club made some serious investments in new players (Jones, Pennant and signing Gudjohnsen should be right move considering his aerial abilities) and I’m sure they will be improving. They won at Newcastle 2-1 in last round and that should be additional moral boost. Andy Wilkinson and mentioned Pennant are doubts, while Fuller’s injury is not as bad as it looked and he’ll be in the squad. 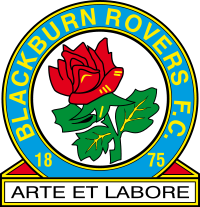 Rovers have noticed a good start of the campaign, but oppositely from the hosts they were lucky in few occasions that allowed them to sit in the middle of the table. God knows how they resisted against City (1-1 away) and they deserved a defeat at Blackpool but scored in additional time for a win. However, fact is Blackburn under Big Sam are very poor traveler. In previous season they won just 3 times on the road and in one before that 4 times. Majority of their points are collected at home, while away play without a pressure, keep 0-0 and try to use their most dangerous weapon – set pieces. Striker Roberts and midfielder Andrews should be fit for the game, but key man Dunn and Grella are still sidelined. Both sides carry old fashioned English football with lots of fight in the air and this won’t be pretty game to watch. However, I can see bigger desire for a win at Stoke and a decent amount of unused potential. Expect a tight game and 1-0 home win.